We've come to accept that millennials adopt technology at a faster rate than other generations. And we've come to accept that millennial moms are uber-digital — not only the mommy-bloggers gathering in San Diego this week for the annual BlogHer conference. What we don't often talk about is how that's going to shape the generation coming up after the millennials — the iGen. 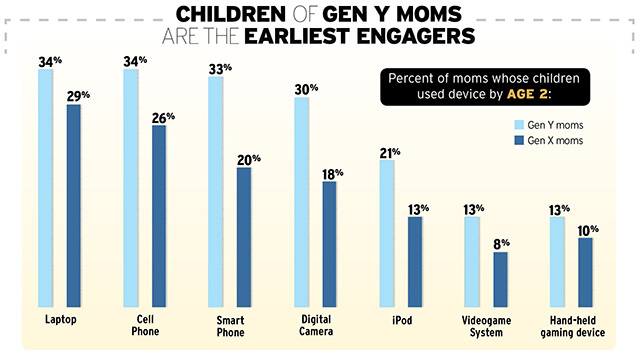 Technology isn't going to skip this generation, it's being handed down right from mother to child. Amazing stats. Kids know how to use a phone before they can tie their shoes. Very interesting.